For this mix, I wanted to consider God's creation and our place within it. The glory of the heavens declare God's majesty. Specifically, most of these songs reference the stars and how insignificant we can feel when looking out at them. Abraham's descendents are likened to the stars and we know that anyone who believes is considered a descendent of Abraham. 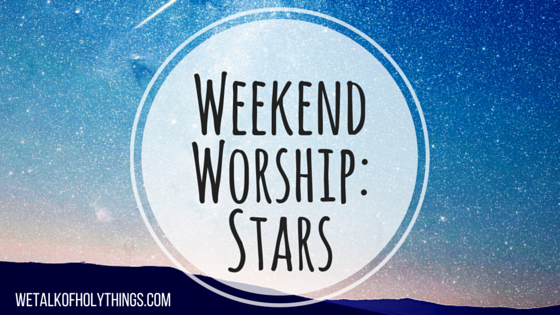 Did you know that God knows the stars by name (Psalm 147:4)? He cares enough to know you too. Again, if I missed your favorite song on this topic, leave me a comment. I would love to hear about it!